Nifty opened strong on the back of good global cues but stayed in a narrow range till the RBI Governor came out with no change policy. The index made a low around 6675, but the bulls came back to move Nifty above the psychological level of 6700 and closed strong at 6721.05, gain of 16.85 points. The broader market was strong, with 845 advances to 610 declines. Best support right now is placed at 6600. 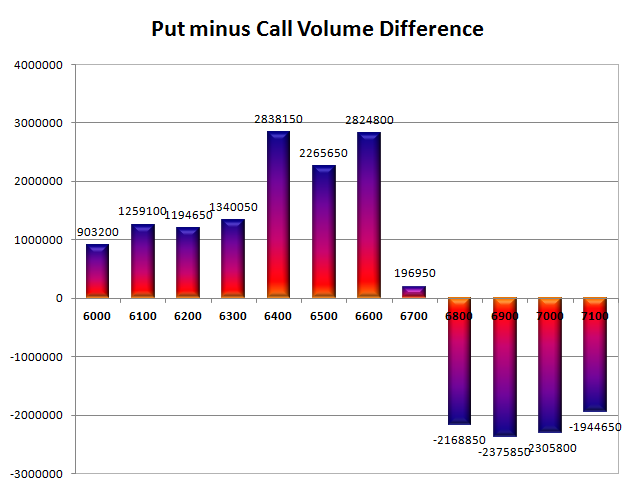 Call option 6800-7000 added 15.59 lacs huge amount of OI with small short covering seen at 6700 and lower strike prices. Put option 6700-6500 added 13.56 lacs huge amount of OI with small profit booking seen at 6400 and lower strike prices. 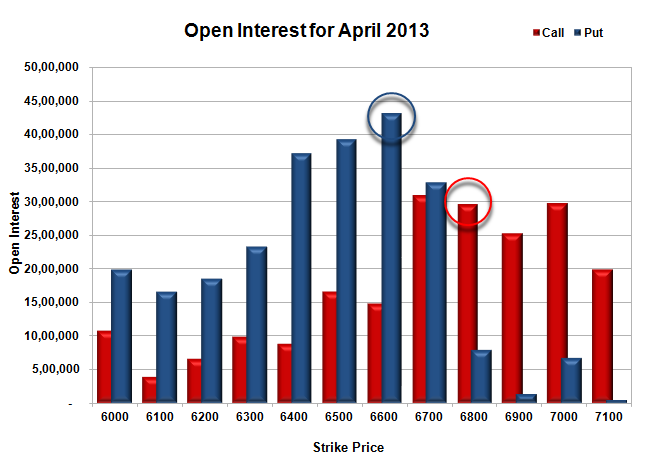 Nifty Open Interest is at 1,70,31,350 up by 11,700, with small increase in price, most probably long build-up. Bank Nifty Open Interest is at 15,09,475 down by 83,500, with huge decrease in price, most probably huge long liquidation. FII’s bought 0.51 lacs Futures, mostly short covering, as their net OI decreased by 8477 contracts (includes 64667 longs to 63650 shorts for the day) and the average price per contract comes to around 6706.36. 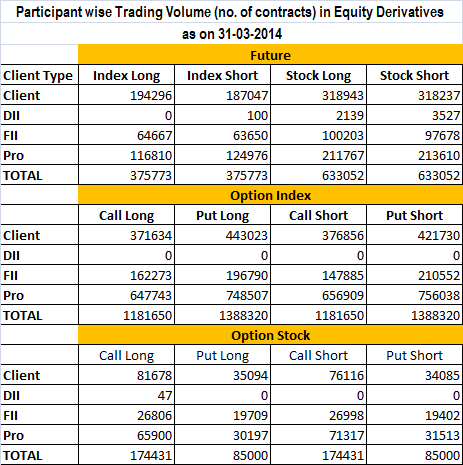 FII’s future open contract as on date is 379306. PCR Open Interest (Volume) is now in safe zone at 1.204. Initial support at 6700, with huge OI of 32.90 lacs and below that at 6600 with highest OI of 43.10 lacs. 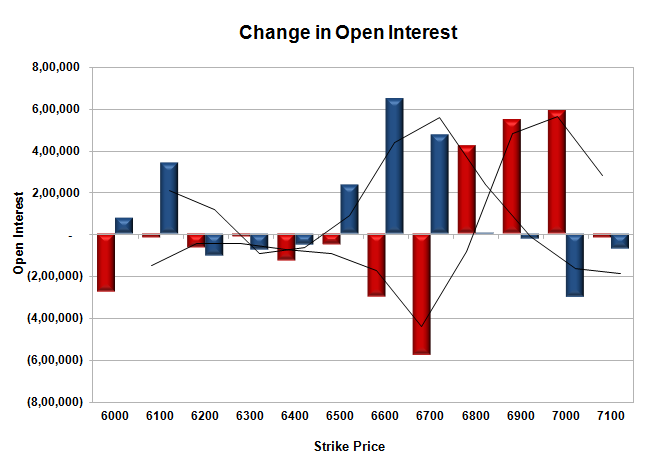 Initial and best resistance at 6800, with OI of 29.66 lacs and above that at 6900 with OI of just 25.19 lacs. Day Range as per Option Table is 6666 - 6759 and as per VIX is 6648 - 6794 with 6710 as the Pivot.